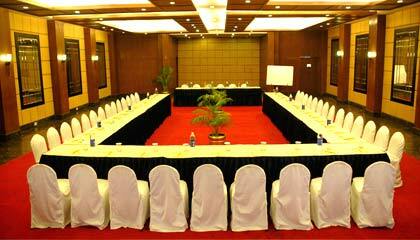 Nalapad's Hotel Bangalore International, Bangalore is located by the side of Bangalore Turf Club and Golf course. 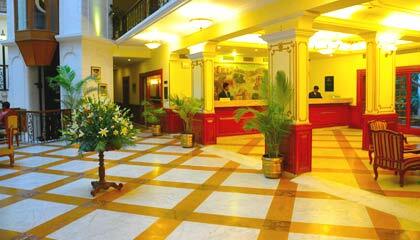 Nalapad's Hotel Bangalore International is a well-known name among the deluxe hotels of the region. 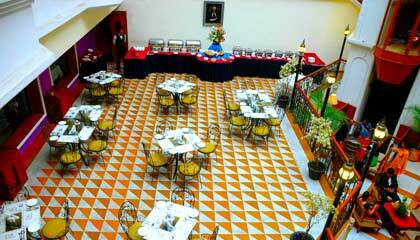 The hotel features a splendid edifice in white color that is well complemented by superbly decorated interior, making the guests delighted throughout their stay. 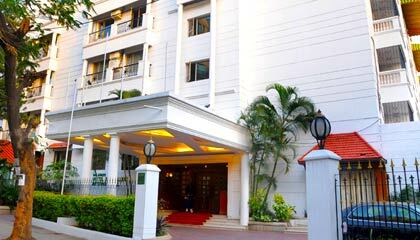 Renowned for offering impeccable services and warm hospitality, the hotel is one of the preferred destinations for the travelers. Rooms of the hotel are comprised of lavish bedding, chic furnishing, and state-of-the-art amenities assuring the guests utmost comfort. 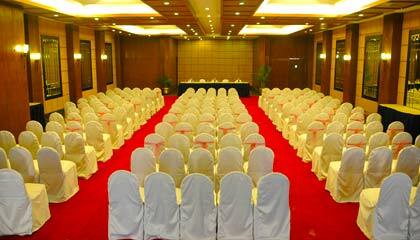 The hotel provides fully equipped business centre and spacious banquet halls for organizing business or social event. 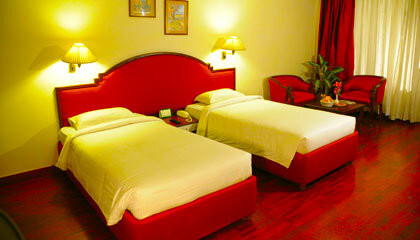 A wide range of recreational facilities are also forwarded to ensure the visitors a pleasurable stay. 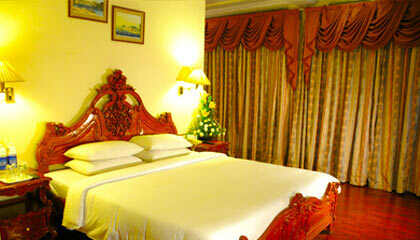 In short, Nalapad's Hotel Bangalore International is an ideal place to accommodate in the Garden City. 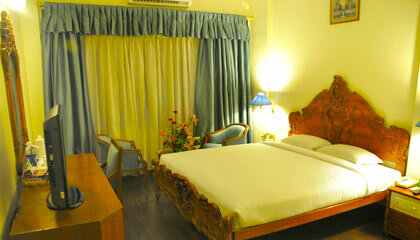 The hotel features 70 aesthetically decorated rooms, classified as Deluxe Rooms, Junior Suites, Executive Suites & Nalapad Suite. 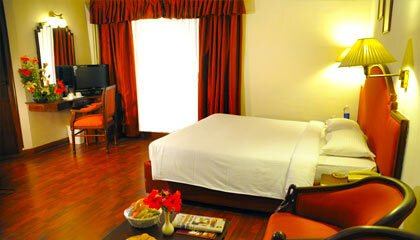 All the rooms are outfitted with contemporary amenities and services. Crescent Avenue: Dig ino variety of delicious cuisines with exotic drinks. Great Moments: A well-stocked bar offering cocktails and mocktails. Height's Cafe: A 24-hour cafe serving hot beverages with snacks.